FUMAPEST Waverley Pest Control for professional pest control programs to schools and child care centres in Waverley Council area • phone FUMAPEST 1300 241 500. 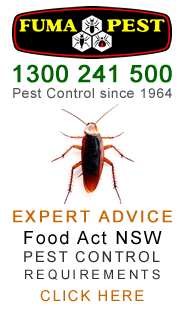 FUMAPEST Pest Control Waverley • professional pest controllers Waverley Council region • rats • fleas cockroaches • ants • spiders • mice • bed bugs • bee swarms • wasps • termites • termite baits • termite inspection reports • termite barriers. Find Vets • Veterinary Hospitals • Veterinary Surgeons • Veterinary Clinics in the Waverley Council region.